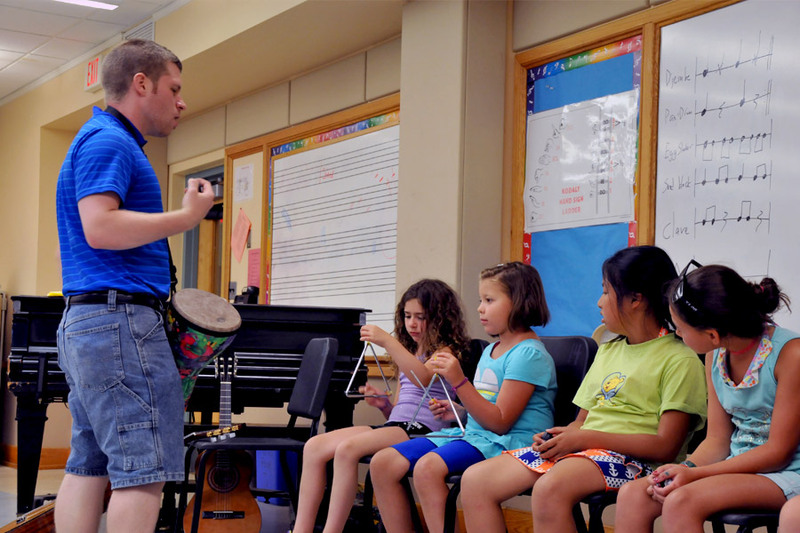 This class offers an exploration of movement to music. 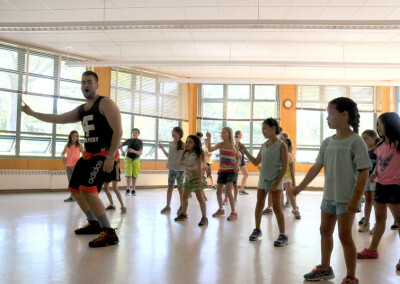 In addition to allowing students the ability to experience music physically in guided movement activities, it combines various styles of more formalized dance. 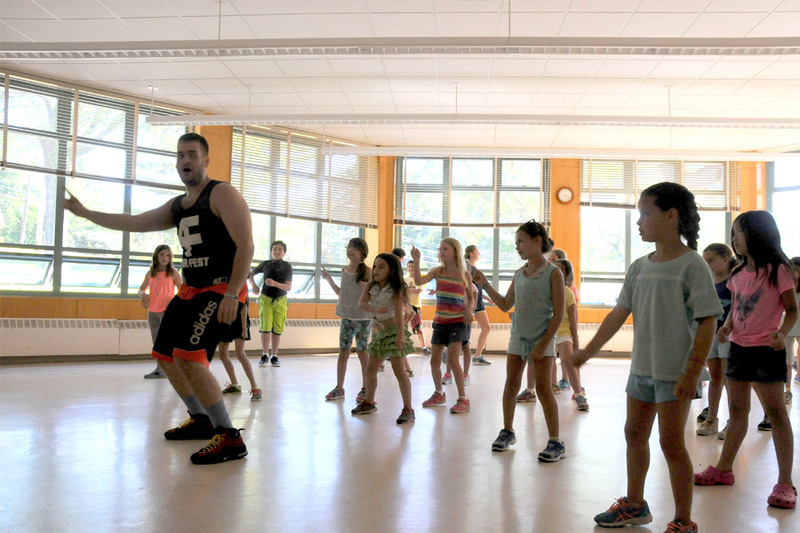 These could include: modern dance, jazz dance, West African, ballet, ballroom, step dance. This performance-based class works with various acting exercises focusing on expression, concentration, and believability. Students participate in both verbal and non-verbal acting exercises, eventually progressing to story-telling and more traditional performances such as scenes and monologues. 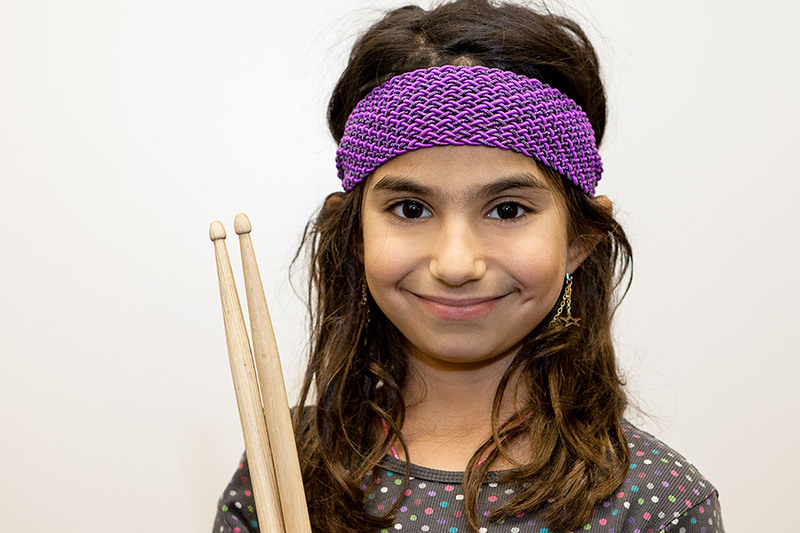 Parents and Children Beginner: This is beginning music and instrumental instruction for both children and adults. 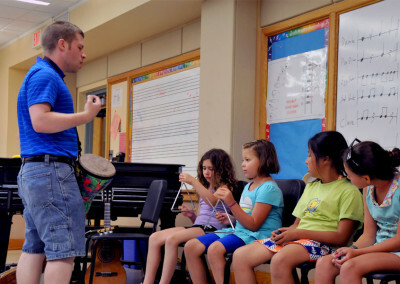 Students explore musical concepts such as rhythm, tempo, and notation while learning to play a string instrument. 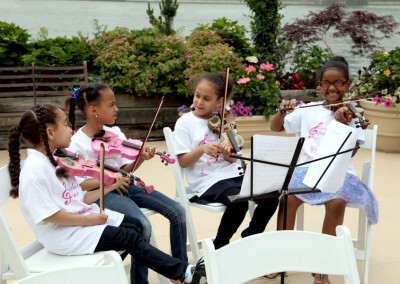 Children and adults work together to problem-solve and mentor one another and learn to play music together, both in unison and in parts. 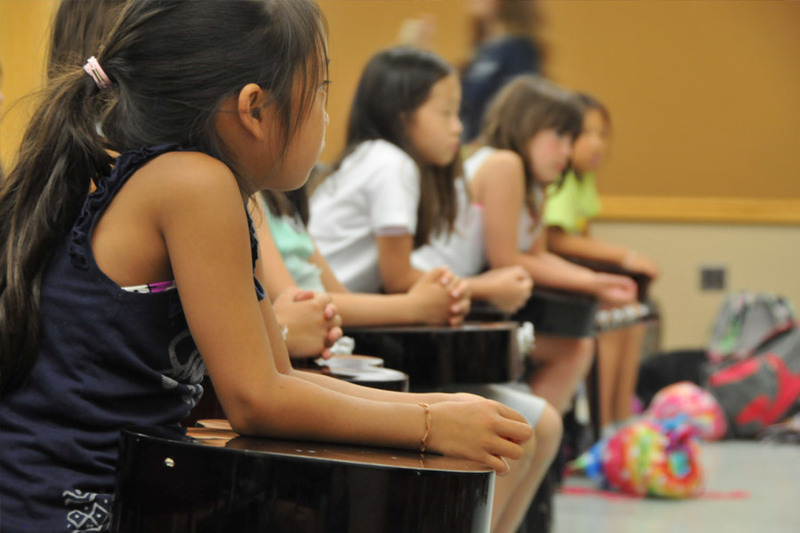 Advanced District: Children continue playing string instruments at a faster and more performance-oriented manner than in the beginner classes. 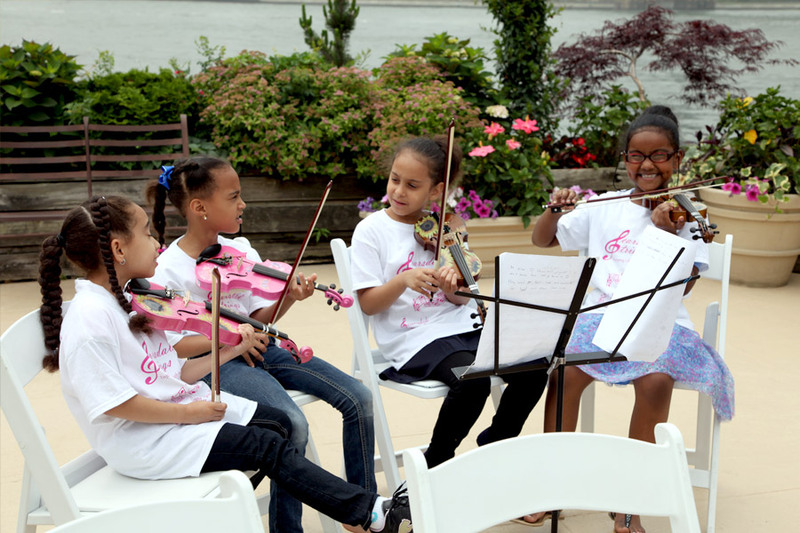 Repertoire, practice, and skill development is geared toward a culminating performance with other students from across the NYC area. An audition is required. Students learn basic guitar, percussion skills, and singing while working in groups to perform basic rock music pieces. Students play in several configurations or groups and have the opportunity to learn skills on all instruments. Emphasis is placed on basic technique and self-expression. If desired, students will learn basic song- and lyric-construction skills and write their own pieces. Student sing songs in a variety of genres, including spirituals, folk songs, pop song, and musical theatre. 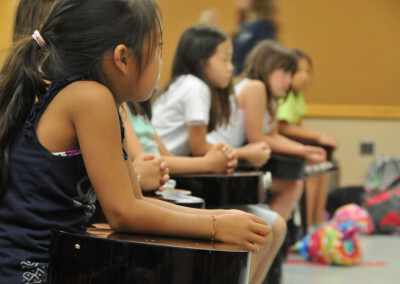 They learn healthy singing technique and basic music skills from tempo and rhythm to pitch and musical notation. Members will sing both in unison and in parts, as fits into the group desires and dynamics. Students will explore a variety of mediums, such as photography, collage, mixed media collage, and drawing. 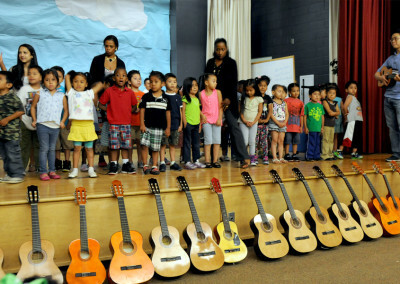 They will learn basic techniques and focus on self-expression and communication through the various artistic forms. Students learn about and compose music using such programs as Garage Band. Students might create background beats to which they compose and record their own songs and lyrics, combine music that is already recorded in “mash-ups” to create new meaning, explore arranging songs, compose music using loops. The Arts Youth Empowerment student leadership program gives children the opportunity to develop essential skills that will help them to become productive learners now and successful future leaders. We believe that having the opportunity to stand out in your school environment and embrace and develop positive personality traits, setting an example of proactivity in the school environment, will support productive integration into the community. The Arts and Technology Leadership Program will focus on developing essential traits of future leaders. Student leaders will participate in regular group meetings with leader mentors, create STEAM projects and accumulate community service hours. More advanced student leaders will also be responsible for mentoring incoming leaders. 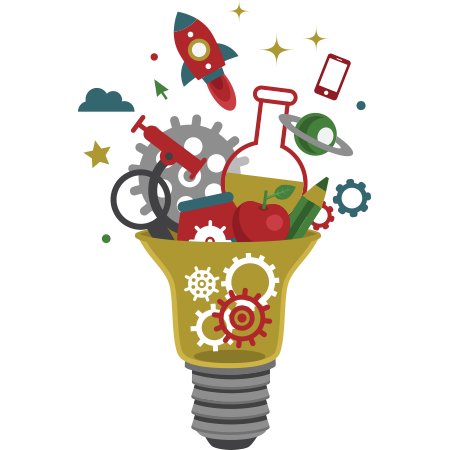 Arts Youth Empowerment entrepreneurship programming provides students with the opportunity to continue and expand on their school-year arts classes by establishing a business that integrates the necessary tools from their core subjects. 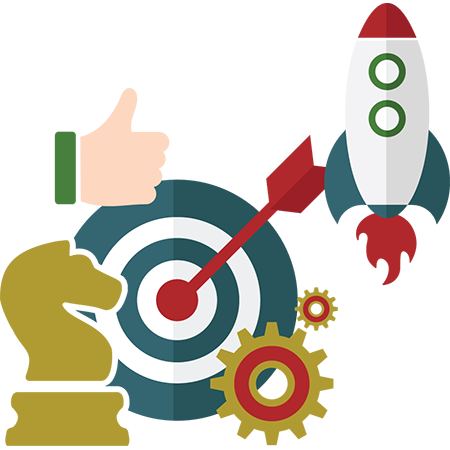 We believe that learning how to start-up and operate your own business along with subject integration is the link to consistency and long-term success in the arts and in the future. Arts Youth Empowerment Entrepreneurship programming is a spectacular way to boost students’ knowledge of their community and understand how they can make a positive contribution. Students will be given the opportunity to collaborate with each other and with their teachers to develop life-long skills that will support their entry into the business world while integrating the arts that have inspired their love of learning. For questions, please email us at office@artsyouthempowerment.com.